PARIS French rescue services and police are evacuating hundreds of pilgrims from hotels threatened by floodwaters from a rain-swollen river in the Roman Catholic shrine town of Lourdes. Lourdes' grotto is said to be the site where the Virgin Mary appeared to a 14-year-old girl named Bernadette in 1858. Officials say the town draws about 6 million visitors a year. 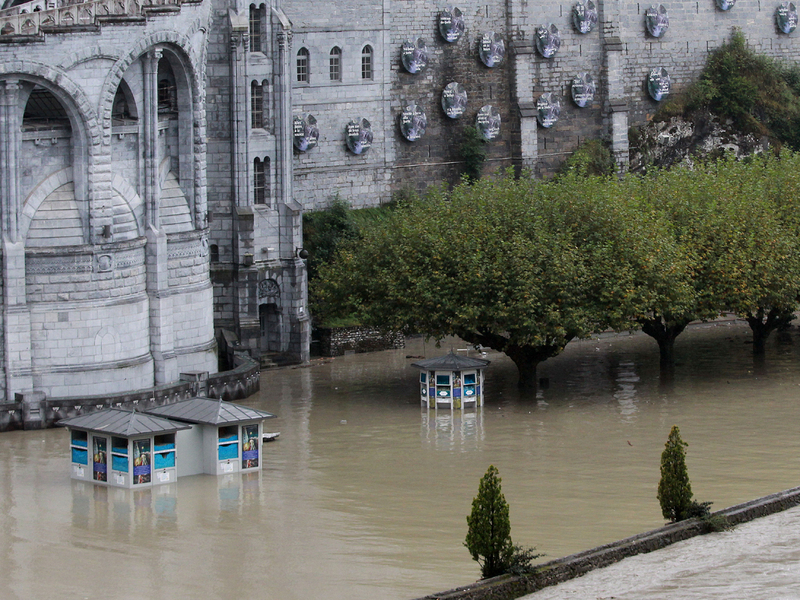 A spokesman for the Lourdes sanctuary said the grotto itself was under 1-1/2 meters of water after the Gave River overran its banks. Visits were temporarily suspended. Regional government spokesman Anatole Puiseux said about 500 people were being evacuated from riverside hotels, and more rain was forecast for later Saturday. The shrine has special meaning for the suffering, many of whom believe its spring water can heal and even work miracles.